Home / lazada / redmi / sale / smartphone / xiaomi / Xiaomi Redmi Note 7 Sold out on its first day in the market. Xiaomi Redmi Note 7 Sold out on its first day in the market. 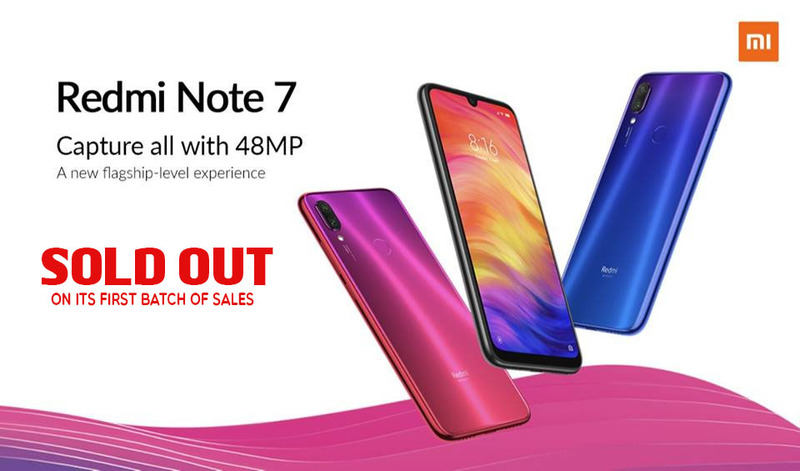 Last March 22, Xiaomi Philippines started their pre-selling of Redmi Note 7. Customers who availed the unit during the pre-selling period got a free In-Earphones Basic and Mi shirt. Redmi Note 7 was sold out in Lazada in just 30 minutes, on the other hand, there are also consumers who lined up in all authorized Mi Stores. These customers were very delighted to have the Redmi Note 7 in their hands! In order to cater the needs of the avid customers of Xiaomi, store personnel limited the purchase of 2 units per consumer. Due to high demand, Xiaomi Philippines is now starting their second batch of pre-order. You may drop by in any Authorized Mi Store to be the first one to know the schedule of the Batch 2 Pre-Selling. Xiaomi also will have a exclusive discounted price for the Redmi Note 7 at the launch of Mi concept store in Lucky China Town on March 30.